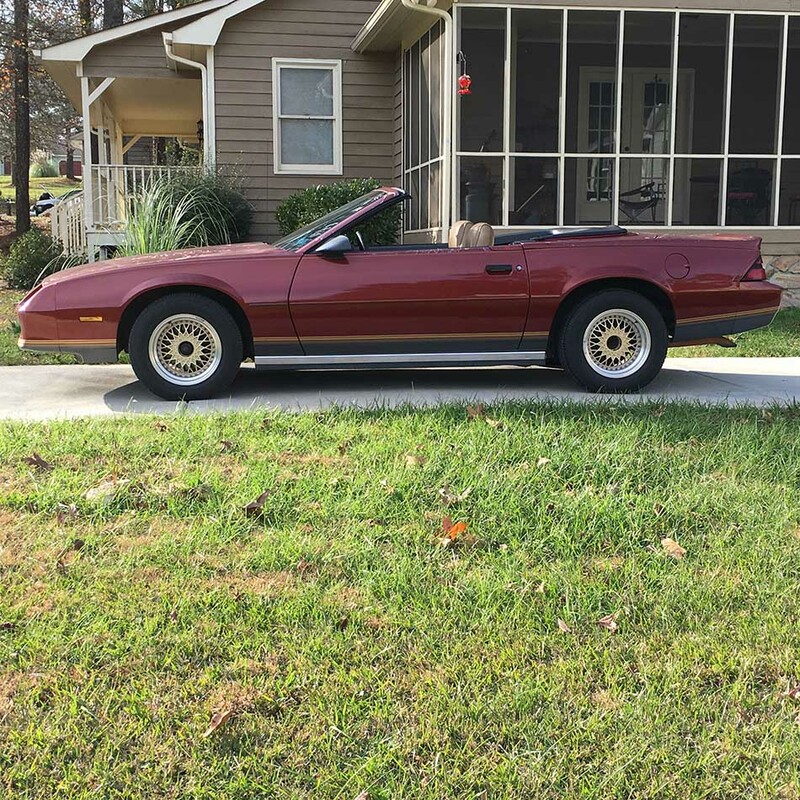 3rd gen rare 1987 convertible Chevrolet Camaro For Sale. 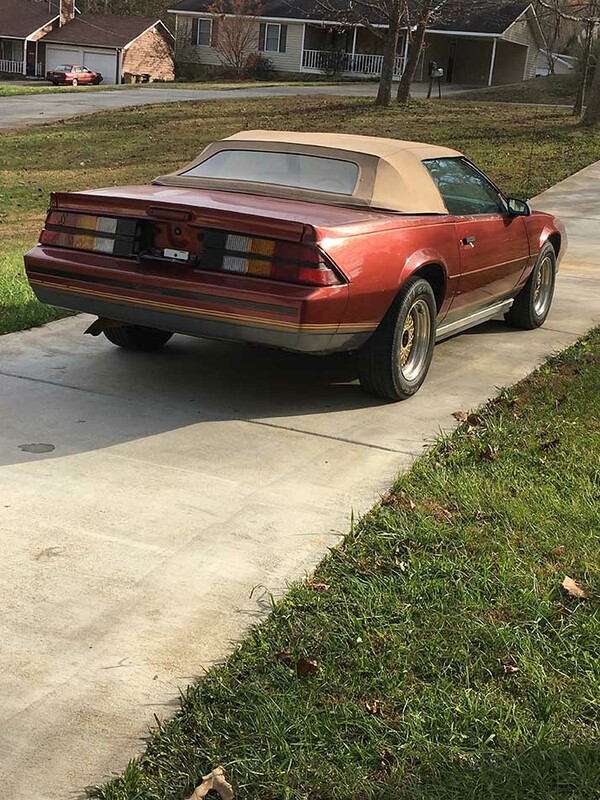 Very rare only 263 Sport Coupe Convertibles made in 1987. Manufacture date 10/86. This one has a 2.8 MPFIV6, Auto transmission. 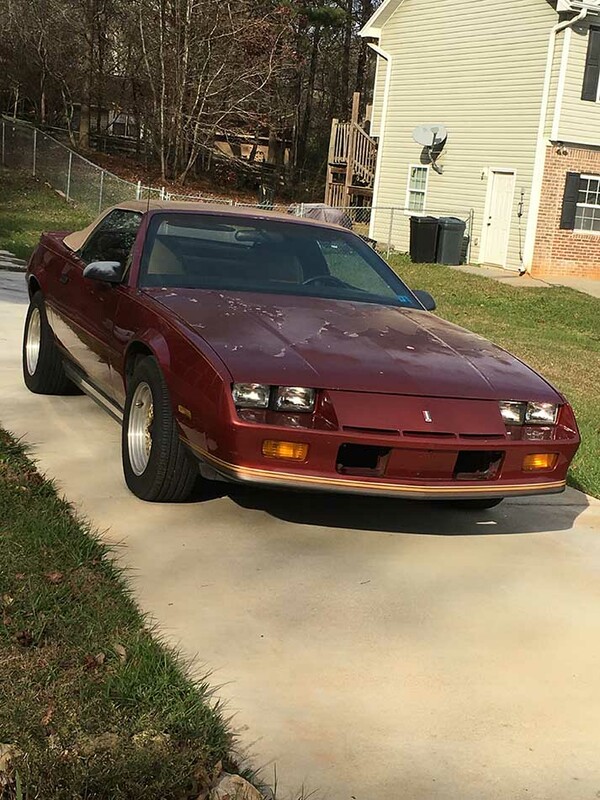 83K miles, factory leather interior, PW,PS,AC. Runs and drives great. Most suspension and steering is new. Needs paint, drivers seat recovered, dash pad is cracked. Tires are flat-spotten mostly from sitting the past 3 years. Selling due to health problems. Contact phone – 770-617-0373 – Also, can send inquiry (contacting by email). Car located at – 15 Popular Dr SE, Cartersville, Georgia, US.